View cart “AR-15 UPPER ASSEMBLY – 16″ / .223 | 5.56 / 1:8 / 12″ HERA ARMS KEYMOD UNMARKED AR-15 HANDGUARD / RAIL” has been added to your cart. This AR15 upper receiver assembly comes ready to attach to any Mil-Spec lower receiver. 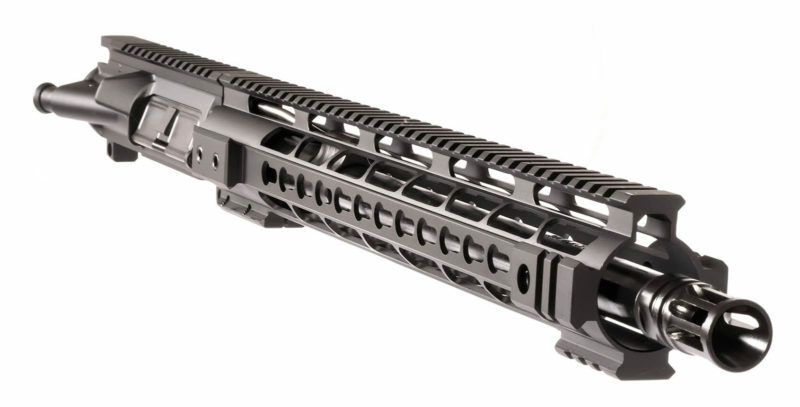 It is built around a 16 inch, 4150 chrome moly barrel that is chambered in 300 Blackout and has a black nitride finish. The upper receiver is a forged M4 flat top upper, allowing you to easily attach rifle scopes and red dot sights to the picatinny rail. Designed to handle the hardest use and abuse of tactical and competitive shooting, this upper assembly is outfitted with a 15 inch keymod rail that features picatinny attachment points at the 3:00, 6:00, and 9:00 positions of the forend of the rail. Outfitted with a 15″ Keymod Rail that features strong attachment points for accessories resulting in accessories and optics having an excellent return to zero capability when detached and reattached. 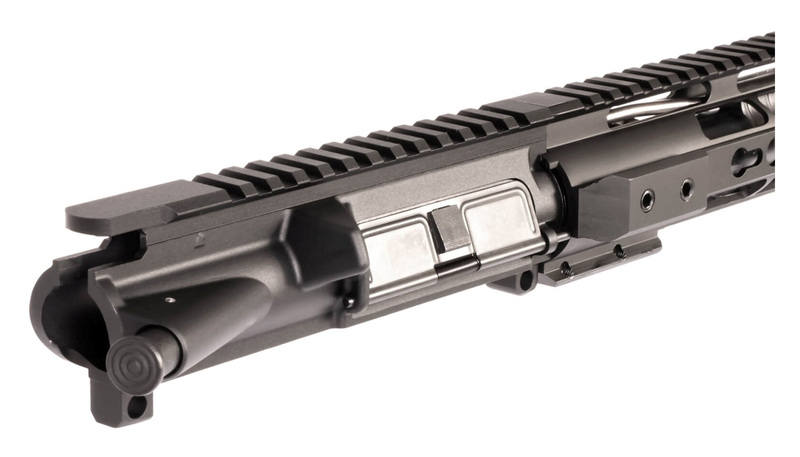 The rail also features a full-length picatinny top rail that sits flush with the upper receiver and has anti-rotation tabs to keep it locked in place. This upper assembly comes with a standard A2 flash hider that effectively suppresses muzzle flash and protects the 5/8×24 barrel threads if you are planning on adding a muzzle break in the future. The barrel is one of the few components that directly affect the accuracy and weight of your build. This barrel has a nitride finish for increased strength and durability. This provides not only an impressive barrel life but ensures excellent accuracy. The barrel threads are carefully threaded to the .308 standard. Optimized for stability with a 1:8 twist rate, this 300 BLK barrel can handle heavier bullets used for subsonic loads with ease.